In addition to patent and insurance, it is mandatory to wear a life jacket. 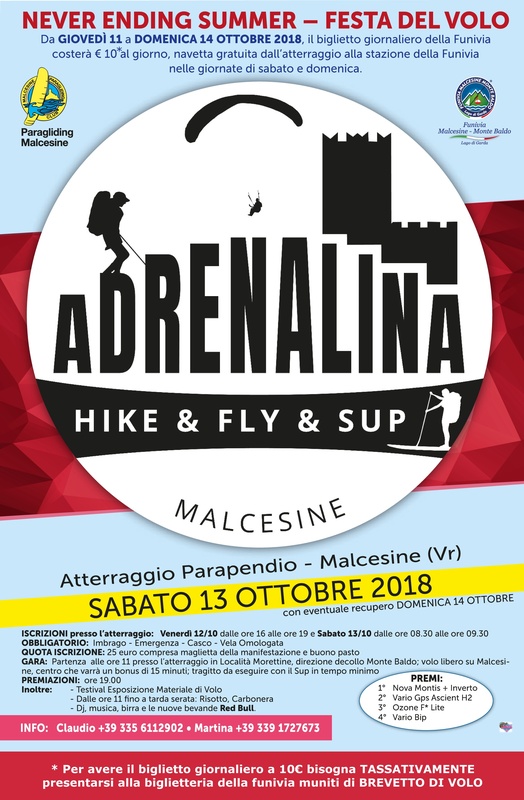 Some life jackets are available free of charge from the Paragliding Club Malcesine. You can find us at the Hotel Ideal, in Via Gardesana Centro no. 228 in Malcesine ( info Claudio Tel. +39 335 6112902 ). 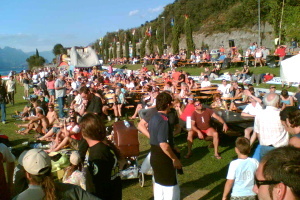 It is located at an altitude of 1700 m. The take-off is 200 m left from the cable-car station. Its orientation is West - East. 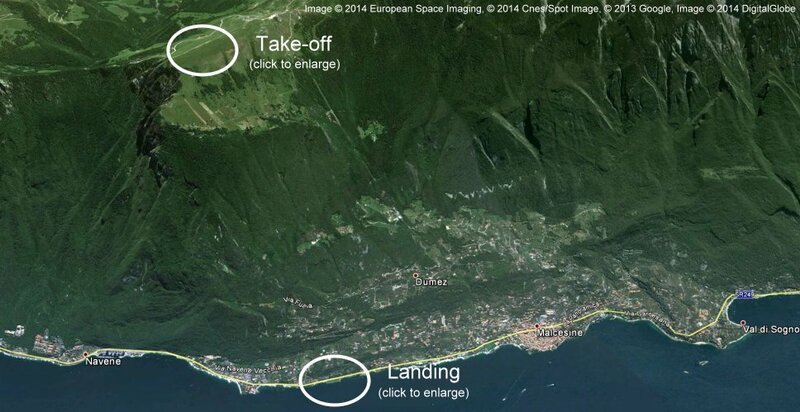 The landing zone is 2 km North from Malcesine on the lake. Be careful during summer it is often very windy. Fly safe: it is important to check the weather before each flight. 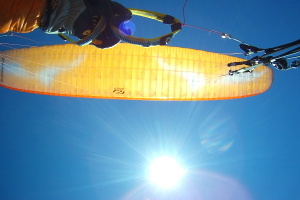 Click to learn about the events organized by the Paragliding Club.